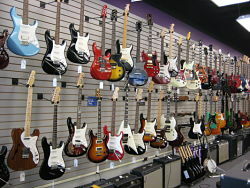 Leading Musical Instrument Store For Sale in Columbia, Missouri. This Great Opportunity to blend your passion with your own music store business! Located in a high traffic area in Columbia, MO, home to the University of Missouri in a vibrant and growing community. 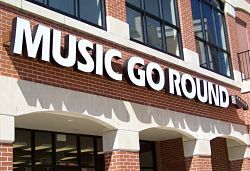 This Music Go Round is located in a high-traffic, growing commercial area with easy access from both major highways running through the city. Tremendous opportunity to take over and grow this business. Let your passion and love of music make you money! current owner is selling for health reasons. No previous experience is required as full training and support is provided. Consumers spend roughly $8 billion dollars a year on musical instruments and equipment. With our Music Go Round brand, Winmark® has proven that there is a substantial appetite in that marketplace for affordable, quality used instruments that keeps musicians of every skill level practicing and performing their craft. Our company has spent decades pioneering the "ultra-high-value" retailing niche and now brings a robust, high-quality retail-resale experience to music communities all over North America. • Rely on staff and managers who are knowledgeable and passionate about music and are musicians themselves Reuse. Recycle. Rock. Roughly speaking, about 60% of our inventory is guitar-focused. However, because we're buying new music gear every day, our inventory continues to excite and accommodate musicians and sound professionals of every stripe. When customers can't find what they're looking for at their local store, they can check the 50,000+ items on our e-commerce storefront and enjoy the same incredible quality and prices. To find out more about this Music Go Round franchise for Sale please fill in the form below and submit.